For many years, our friends from Germany, Switzerland and Austria have been closely involved with Br. David and have been an integral part of our Network for Grateful Living. 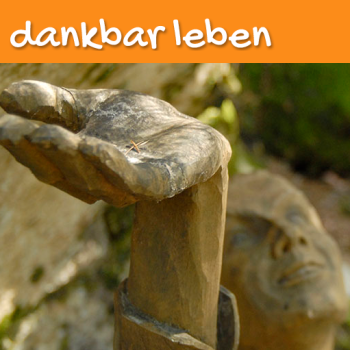 In 2012, a group gathered in Austria and out of that gathering, Dankbar Leben sprang from their collective hearts and hard work. You can read about some of the amazing accomplishments of this group here in this update, and stay informed by visiting Netzwerk Dankbar Leben. In 2012, Br. David visited Argentina and a group of devoted friends there started this chapter to serve South America, and Spanish-speaking communities around the world. Vivir Agradecidos has grown by leaps and bounds in these few years, publishing the beautiful coffee table book, Celebration, and serving many friends with their writings, gatherings, and grateful action. Thanks to the diligent work and full-hearted commitment of Klaudia Menzi-Steinberger as well as the invaluable technical support and expertise of Patrick Bertolf (both from Switzerland), we are delighted to share that there is now an extensive library of Br. David’s writing, lectures, interviews, videos, audio recordings, books, and more in the German language at Bibliothek David Steindl-Rast OSB. This budding chestnut symbolizes ‘Dankbaar Leven, ‘ the beginning of a Dutch network of gratefulness. Attracted by the idea that gratitude is not only a feeling, but can also be a deliberate choice, something you can practice, a number of people in the Netherlands came together in October 2015. Br. David’s approach to grateful living has become a great inspiration for them and his writings are an invaluable support for practising this attitude in daily life. By offering a page in Dutch they want to enable Dutch speaking people to find this source of inspiration more easily, in this way expanding the Dutch network ‘Dankbaar Leven.’ See our Welcome page and our Facebook page. Br. David visited Father Joseph Yim in Hong Kong, China. They, along with translator Rosa Pang, have been excited about sharing Grateful Living Practice through these translations.